Good for all outdoor and indoor container plants! A blend of sphagnum peat moss, composted hen manure, shellfish, perlite and very old dark bark. It is also pH adjusted with lime as needed. 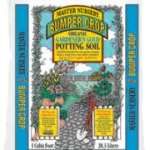 This is our signature potting soil – arguably the finest you have ever tried! 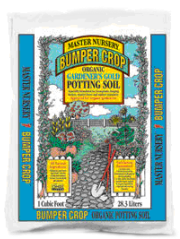 It is perfectly suited for houseplants and all general garden planting. A rich, earthy blend made with natural and organic ingredients with a special water saving formula. Available in 1 and 2 cubic foot and 8 quart bags.